While some still insist on sticking with pencil and paper to keep track of their daily tasks, many harried professionals are turning to productivity apps to help manage everything from huge projects and deadlines to the little things they need to get done. Productivity apps are in huge demand; accordingly, people keep creating them. That’s why one team of great developers brought us the perfect goal achiever app, called iGoalCard. If you’re looking for a one-stop virtual assistant you need to become disciplined and focused on your goals, read on and we’ll introduce you with its features. Note that the app is available on both Android and iOS platforms and it is presented with beautiful design. iGoalCard has multiple features, but we’ll only mention the ones that stand out. For more information, you can visit its official website. So, what does it offer? Tons of goal cards or different categories in life, photo-based slideshows, meditation timers, goal card feature that lets you create and share your goals with everyone, and much more! With it, you will have the unique chance to track your daily activities, create your own goals, get inspirations from the integrated photos, create amazing slideshows, etc. You can get the app for free or subscribe to its premium version monthly, annually or for a lifetime and get the whole package. 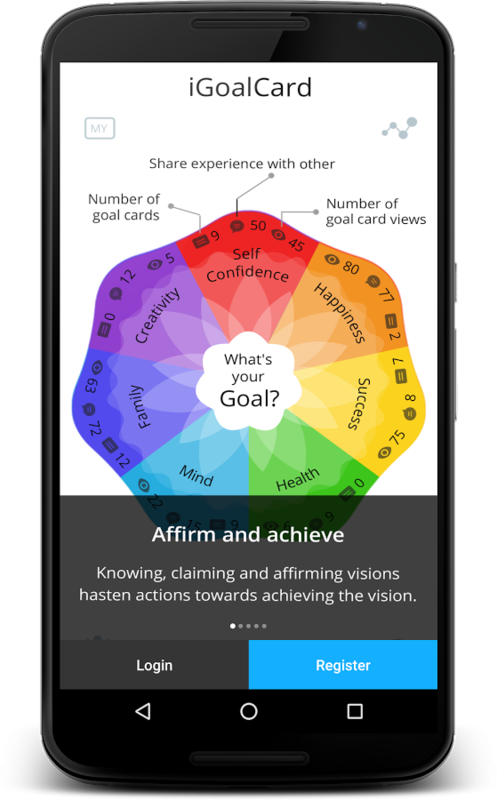 Design your dreams and start achieving your goals, click the links below and get iGoalCard today!